Georgia law requires property owners to use reasonable care in maintaining their premises, including the duty to avoid exposing third parties to unreasonable risk of harm. A property owner reasonably must inspect the property for dangerous conditions and either repair any hazardous conditions found or provide adequate warning of them. 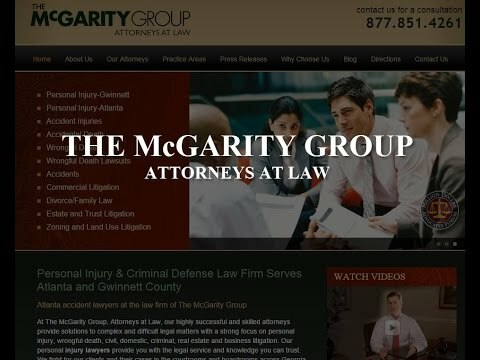 At McGarity and Efstration, we focus on helping you obtain full and fair compensation for your injury and the damages you have suffered. Negligent security. A property owner may have a duty to provide security or security cameras to protect third parties from criminal activity. Cracked and broken sidewalks. Patches of ice or crumbling concrete on a sidewalk surrounding a building can cause trip and fall accidents. Unsafe stairways or ramps. If there are stairs or ramps on a piece of property, the property owner has a duty to make them reasonably safe, including providing adequate railings and slip-resistant materials. Slippery surfaces. Liquid spilled on a floor or freshly waxed surfaces can cause a slip and fall injury. Exposed electrical wiring. Electrocution from improperly maintained electrical wiring can also cause a serious injury. Because premises liability law can be confusing, it’s in your best interests to seek guidance from a premises liability attorney who knows the law, can help determine who’s at fault and is experienced with how to obtain the maximum amount of monetary recovery for you. What should I do if I were injured on someone else’s property? Seek medical treatment for your injuries because the severity of injuries is not always immediately apparent. Contact a personal injury attorney to preserve your rights. Collect evidence, such as taking pictures with a camera or your cell phone. Also, gather the names and contact information of any witnesses to your injury or of anyone who has knowledge of the dangerous condition. If you are injured at a business and an injury report is completed, be sure to obtain a copy of it before you leave (but do not sign it). Avoid providing any statements to the owner of the premises and do not sign anything. It is especially important that you do not say anything that would imply fault on your part. Do not settle your claim without speaking to a lawyer first. If you or a loved one has been injured on another party’s property, you may have a premises liability case. Contact McGarity and Efstration at 877.851.4261 or online. Our offices are conveniently located in Buford and Braselton, Georgia.